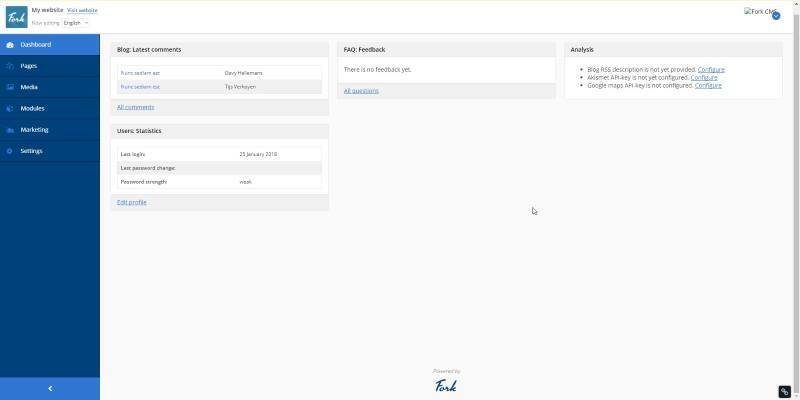 Brief: Looking for a free and open source website creation tool? We have created a list of 12 open source CMS that you can use for various kind of websites. A CMS (Content Management System) is what lets us manage the content or information on a webpage. However, it is capable of a lot of other things than just “managing the content”. And, the root cause for the rapid evolution and extensibility of CMS’ would definitely be – “Open Source CMS initiatives”. The more open source CMSs surfaced, the more extensible they became. Well, some open source CMSs focused on a particular thing while most of them tried to become an “all-in-one CMS” – with the help of which you can design and customize your website as you’d prefer. With the advancements in CMS’, you do not need to hire a web developer to set up your website – even if you want to create an e-commerce platform. You can do it all by yourself – without requiring any coding skills. Yes, it’s that easy! But, before getting to know about some of the best open-source CMS’ – let us check out some of the factors which you should consider while choosing the best CMS for your work. The plugins/extensions are meant to extend the functionality of the core features available in a CMS. The more variety of extensions available, the more things you can get done with them – thus saving a lot of time. What’s next? Well, the website design does matter as well. 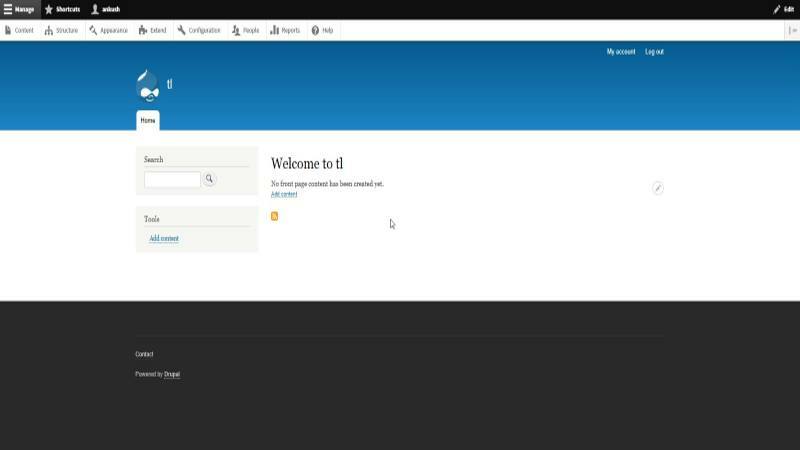 So, the more variety of designs/themes a CMS offers in its repository – the merrier it is. You do not need to spend a fortune to hire a website designer in order to design your web page while you can do it yourself with the available CMS themes. You can even purchase premium plugins and themes from 3rd party marketplaces like Envato.com. If the user interface is good enough, the web application will be user-friendly. You won’t need to spend a lot of time figuring out how to get things done. Of course, you should look for the easy alternatives that do the job you want. It all comes down to your personal preferences. If you do not want to customize anything – just use the CMS as is – then you don’t have to worry about the customizability of a website creation tool. 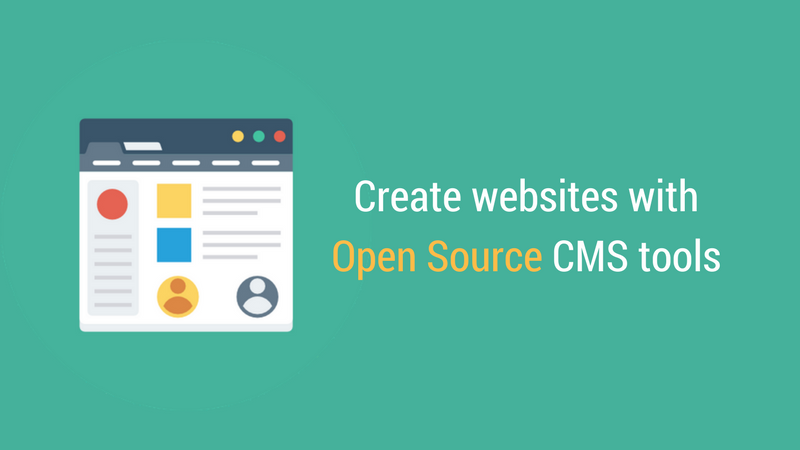 However, if you want to customize a lot of elements as to your liking – you should be very cautious about what you can do with the various open source CMS’ available. There’s always a learning curve to this factor – no matter what CMS you prefer. The more experience you’d gain, the more customizations can be achieved. Now, let us take a look at some of the best open source CMSs (or if you’d prefer them as – website creation tools). Note: Using a CMS does not require any coding skills at all. However, if you have the necessary knowledge of Markup languages (HTML), Stylesheet languages (CSS), and server-side programming languages (PHP) – you can do a lot of innovative stuff. Just to be clear, this is not a ranking post. I am just listing some of the open source CMS that you can consider for your specific website needs. 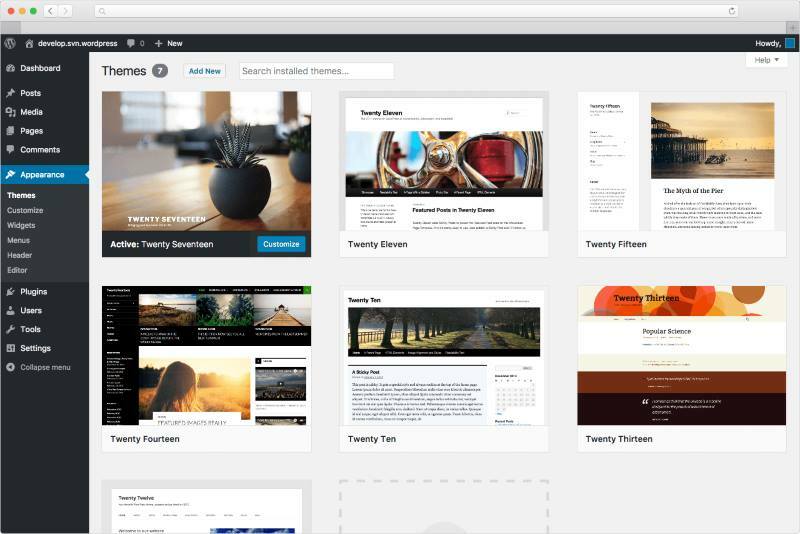 Without a doubt, WordPress is one of the most popular CMS platforms. You can either make a blog or even build an e-commerce site with the help of it. WordPress is a very robust yet user-friendly website creation tool. When considering the statistic, WordPress occupies almost 60% of the total market share among all the other open-source CMS’. Well, this awesome website also utilizes the WordPress CMS. You do not have the worry about the security patches on this platform because the dev community is superbly active to keep the platform up-to-date with new features and fixes. Majority of the online publications rely on WordPress to manage their content, including us at It’s FOSS. It’s tough to implement a custom website template. Drupal is considered to be one of the best enterprise open source CMS. It isn’t as easy as WordPress though. So, you need to read some documentation before jumping right into the platform. Similar to WordPress, Drupal offers modules (as plugins) to add more functionality to your website. Of course, you do not get a lot of modules (when compared to WordPress). But, it is perfectly customizable (almost close to what WordPress offers). A lot of the web developers do recommend Drupal for e-commerce web portals. 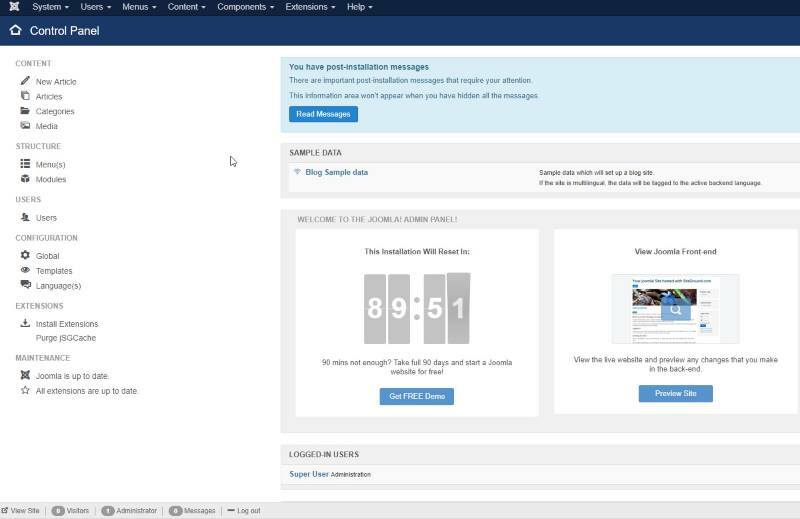 Joomla is yet another impressive open source CMS to host a blog on. I wouldn’t recommend building an e-commerce site on top of Joomla, but if you want to utilize a website creation tool to build a blog or a portfolio site – Joomla is a good choice. However, Joomla isn’t the CMS we can vouch for if you are looking to add interesting new features to your website. If that’s the case, look no further and utilize WordPress. The user interface is very impressive – but not very easy-to-use. Ghost is a simpler alternative to WordPress if you just want to focus on your content structure and SEO. You won’t really get the ability to add unique features to your website because Ghost is specifically tailored for publications/blogs. 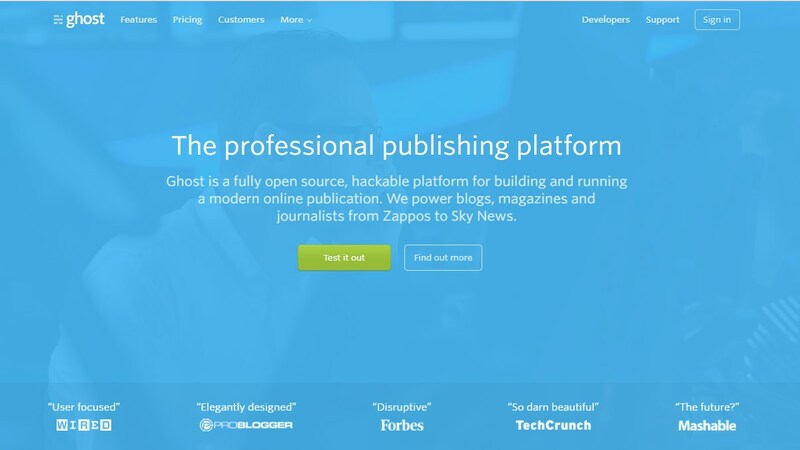 If you want your content to stand out along with a modern website design (and no fancy features) – Ghost should be the perfect open source CMS in that case. Jekyll isn’t a full-fledged CMS but a static website generator. 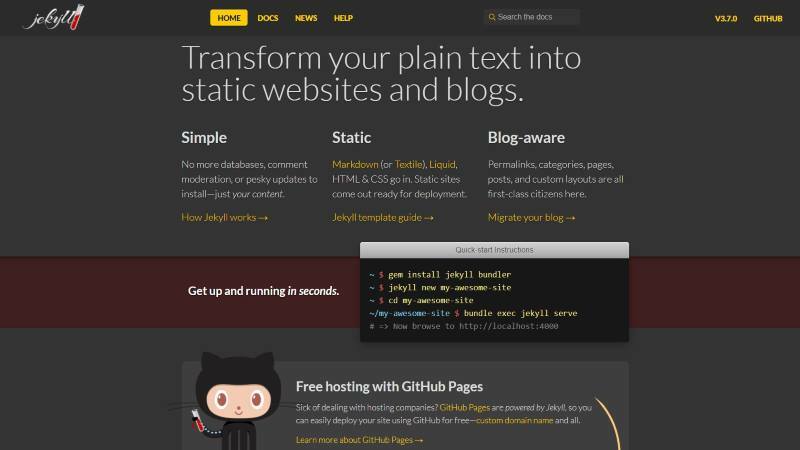 You can utilize Jekyll coupled with GitHub pages to host your web pages for free. If you want to create a basic portfolio site (or a site that contains basic information) – Jekyll with GitHub pages should do the trick. Hugo is a similar open source static website generator that you can consider. If you do not want modern UI elements on your website – TYPO3 – is a great open source CMS. It offers a very easy-to-use interface and is perfectly optimized to create and manage enterprise landing pages. I wouldn’t recommend this for bloggers. However, if you are putting a webpage about your business and you do not need to maintain it often, TYPO3 is an ideal choice. 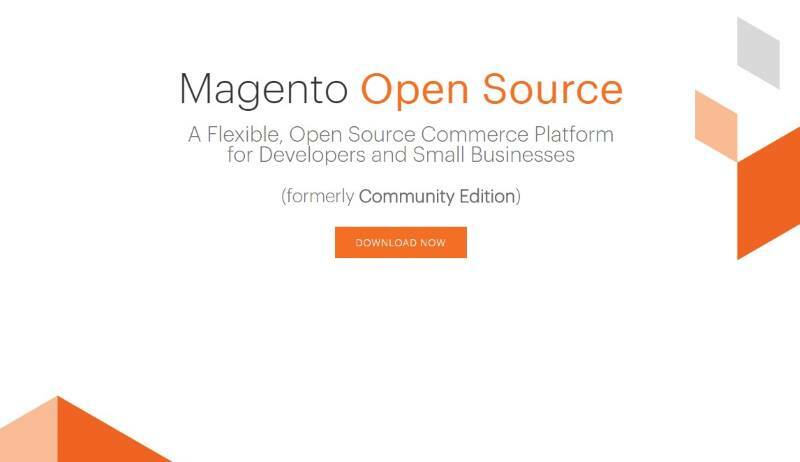 Magento is a popular open source CMS tailored for e-commerce businesses. You will need to purchase a license in order to unlock all the premium features of Magento. However, the community edition (or the open source edition) – is free to use and also houses a lot of necessary functionalities as needed for a web blog or an e-commerce site. If you are on the lookout for something very easy and that lets you manage your content in no time – Microweber definitely is the choice to go with. It also supports e-commerce integration but with a limited set of features. 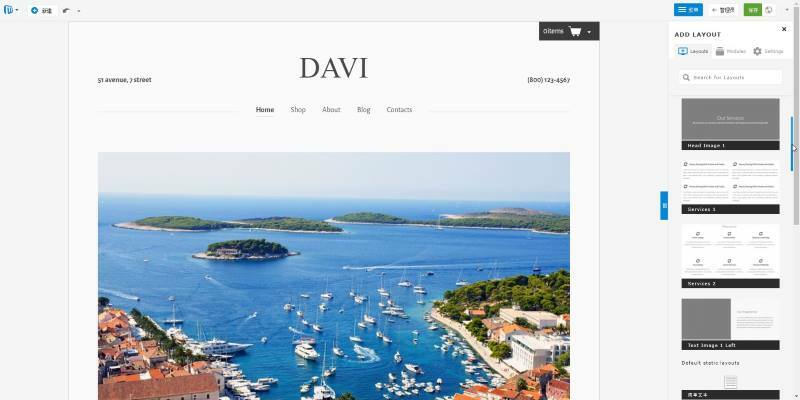 The marketplace for this CMS isn’t huge but features a lot of modern website designs. It is a no-nonsense open source CMS to showcase your content by utilizing modern website templates and while being able to manage it very easily. Not regularly updated/patched – which might pose a threat to your site’s security. 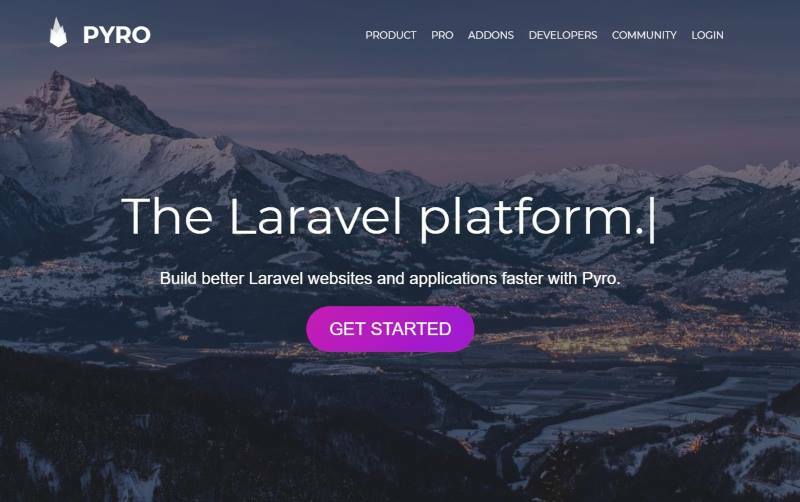 PyroCMS is a fairly new CMS that has been evolving since 2015. It aims to make the website creation process a lot faster and simpler. With a variety of modules, you can add more functionalities to your website. PyroCMS isn’t a recommendation if you want a full-fledged blog. So, if you want a very simple yet elegant blog – with no plans to add advanced functionalities to the site – PyroCMS is the way to go. 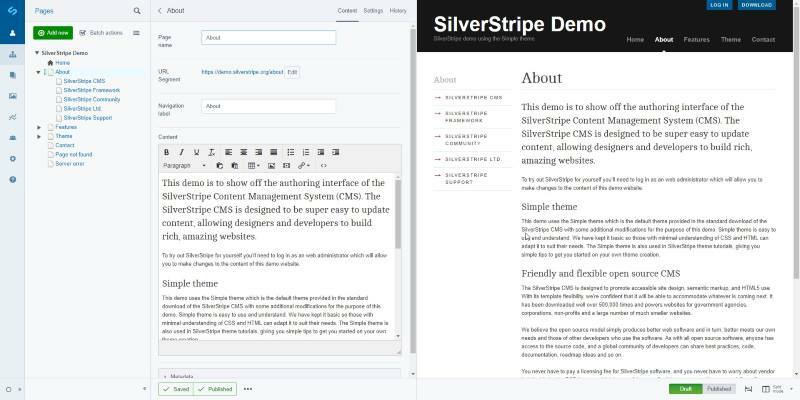 If you mostly utilize your desktop to manage the content of your site – SilverStripe can be an old-school CMS with basic website design templates. Unless you have some coding skills or hire a web developer, SilverStripe won’t be easy to customize as per your liking. The fork is yet another basic CMS with a couple of handy extensions available. It has been around since 2010 and is still being actively maintained. So, if you want an easy CMS coupled with few useful extensions/themes – Fork should be the right one to set up. 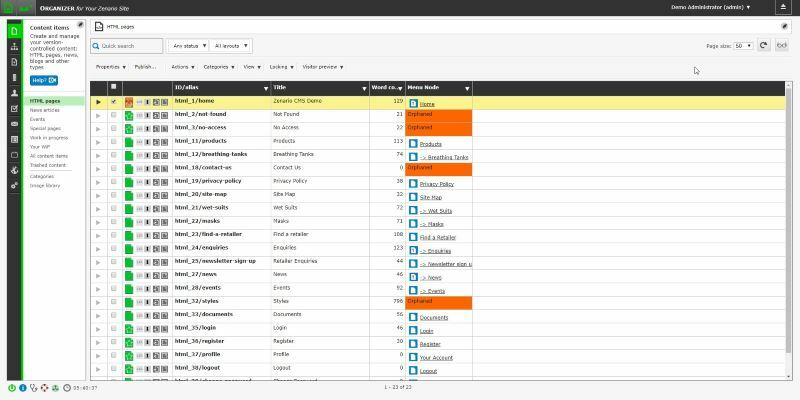 Zenario is an interesting open source CMS which you probably never heard of. It is a very simple yet innovative platform to manage content on. It is being utilized to make online portals for IoT applications and portfolio sites. It does offer a couple of advanced features but isn’t an all-in-one CMS. Now that you’ve known about some good open source CMS’ available – there’s a lot of factors you need to think of when deciding which of them would you be utilizing for your website. If you’ve decided the purpose of your site, you may choose the CMS specifically fit for that category. Else, simply install a multi-purpose CMS like WordPress, Joomla, & Drupal. If you are looking for static website generators, you can find more options here but I am not sure if all of them are open source. I would definitely NOT include Magento on this list. I use Magento on a daily basis and I honestly believe it is engineered to keep you from being productive. Don’t mean to join the negative band…but the writer don’t seem to know alot of solutions. Make the WordPress sales plug , I give that… On an aside, if you talking about website design and not blogging. ..there are systems such as Processwire that beat wp hands down in many usecases.